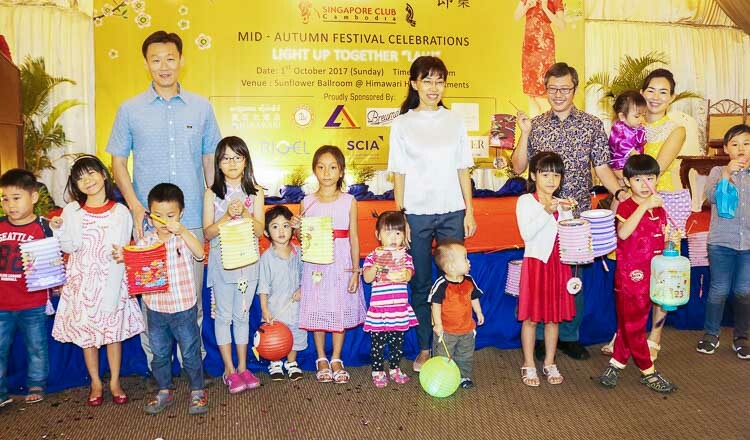 This year the Singapore Club Cambodia (SCC) celebrated the mid-autumn festival at Himawari Hotel Apartments on October 1. The Himawari Sunflower ballroom was beautifully decorated with Chinese lanterns and filled with classical Chinese music and dance to welcome the guests. 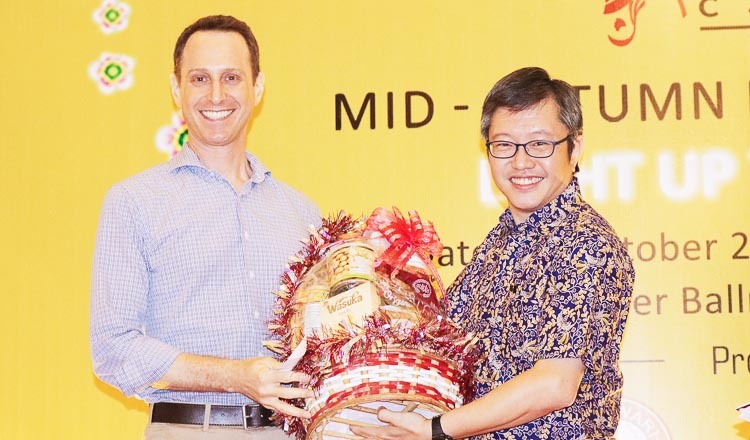 A quiz testing the guests’ knowledge of the mid-autumn festival was conducted as part of the games for adults and children organised by the Singapore Cambodia International Academy. 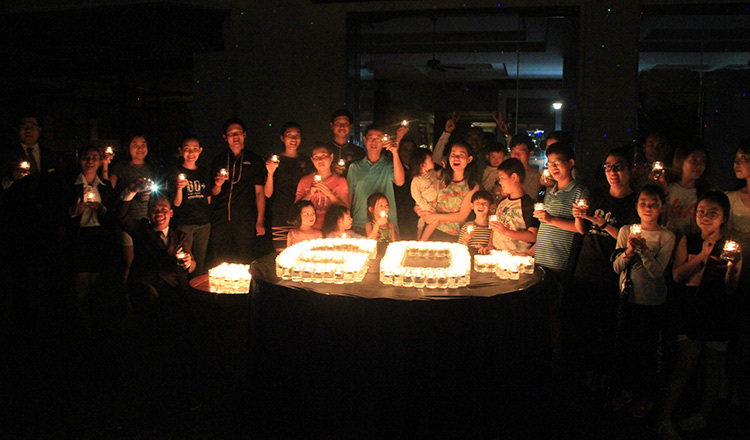 Children got to play on the bouncing castle, take part in moon-cake making and lantern painting. 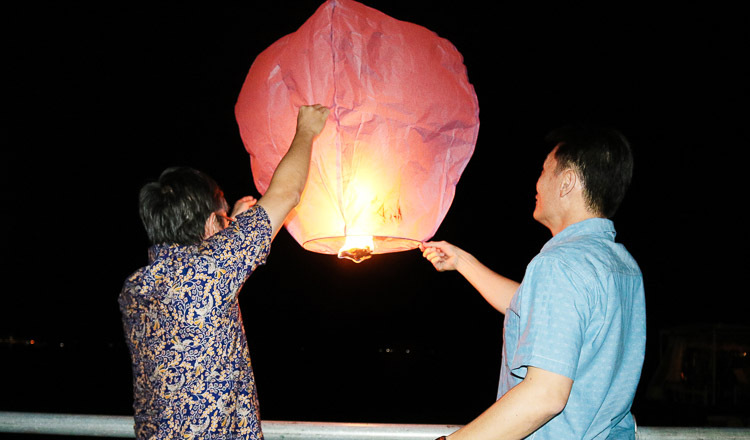 At the end of the event all guests were treated to a lighting up and releasing the lanterns into the night sky. Michael Tan, Grace Tan, Andrew Tay and Alicia Lim having a group photo with children. 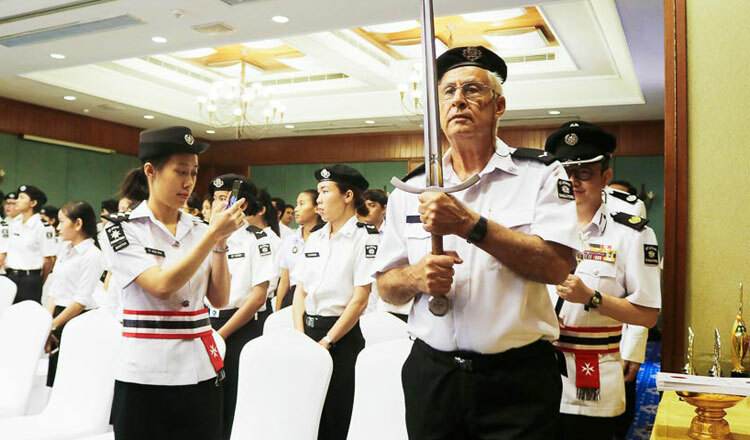 A performance on SCC Mid-Autumn Festival. Andrew Tay, Director of Himawari Hotel Apartments, and Michael Tan, Singapore’s ambassador to Cambodia. 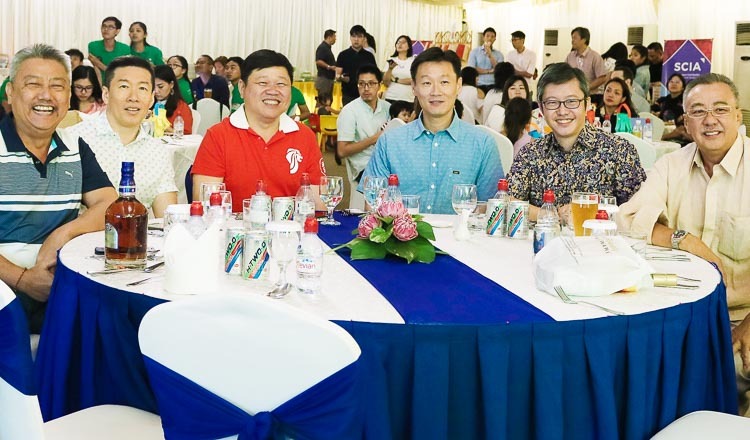 Albert Tan, Michael Kwek, Ng Chor Yee, Michael Tan, Singapore’s ambassador, Andrew Tay and Peter Ng.